Onoto - ARTE AMAZONIA provides a global voice through art for the indigenous cultures of the Amazon. 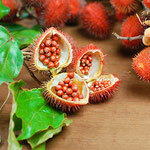 Achiote (Bixa orellana) is a shrub or small tree originating from the tropical region of the Americas. The name derives from the Nahuatl word for the shrub, achiotl. It is also known as Aploppas, and its original Tupi name urucu. It is cultivated there and in Southeast Asia, where it was introduced by the Spanish in the 17th century. 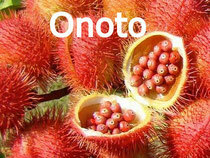 It is best known as the source of the natural pigment annatto, produced from the fruit. The plant bears pink flowers and bright red spiny fruits which contain red seeds. The fruits dry and harden to brown capsules. 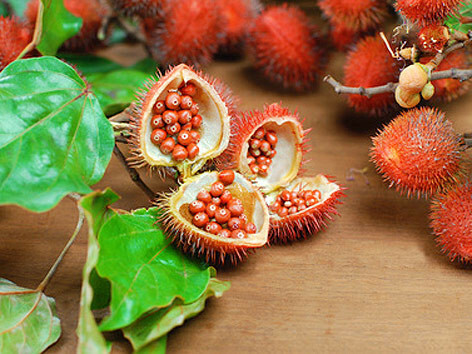 It is of particular commercial value in the United States because the Food and Drug Administration considers annatto colorants made from it to be "exempt of certification". It is used as a colorant and condiment for traditional dishes such as cochinita pibil, rice, chicken in achiote and caldo de olla. It is also used to add color to butter, cheese, popcorn, drinks, and breads. The main achiote growers are Bolivia, Brazil, Colombia, Ecuador, India, Jamaica, Mexico, Peru, Puerto Rico and Dominican Republic. The achiote has long been used by American Indians to make body paint, especially for the lips, which is the origin of the plant's nickname, lipstick tree. 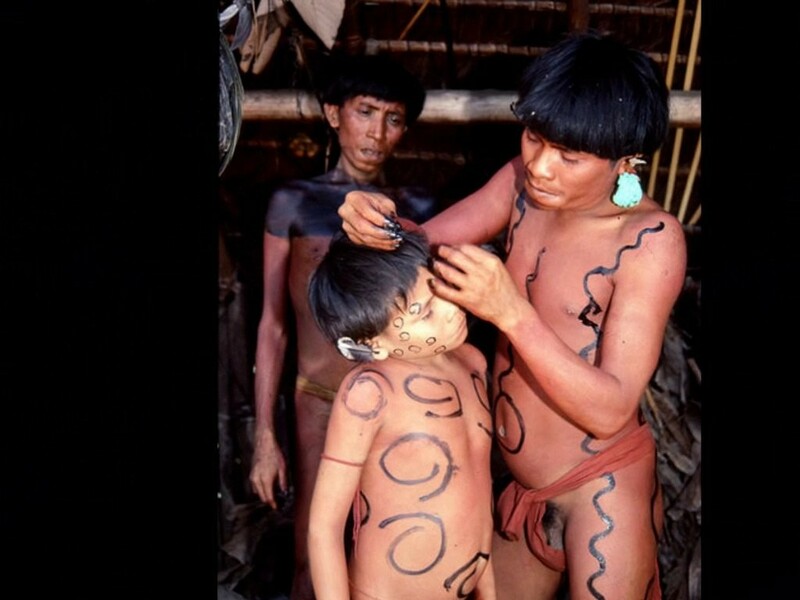 The use of the dye in the hair by men of the Tsáchila of Ecuador is the origin of their usual Spanish name, the Colorados.